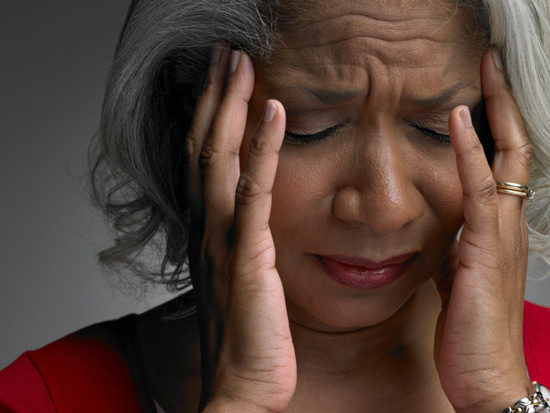 Severe headaches are exhausting to endure and lasts long from 5 to 72 hours. By this time, the treatment of headaches and migraines have been painkillers including, Triptans, paracetamol, or ibuprofen. Although painkillers help in alleviating the symptoms of migraines by blocking the pain pathways and constricting the blood vessels, due to their side effects people want some other ways of getting rid of severe migraines. This reason is where CBD oil makes its way to the top of the list. Although research on CBD oil is insufficient, recent studies portrayed that migraines may occur due to the deficiency of endocannabinoids and odd inflammatory response. Also, many laboratory studies proved that CBD oil could efficiently treat all acute and chronic migraines. CBD oil has been showing some significant benefits for an extensive range of medical conditions most importantly migraines. CBD Oil for Treating Migraines – How It Works? Inside our body and brain, there are different cannabinoid receptors (CB1, CB2, WIN and anandamide receptor). These Cannabinoid receptors consist of intra-and extracellular loops, and seven folded transmembrane helices that affect pain signals. To activate the Cannabinoid receptors for modulating neural transmission, endocannabinoids, or endogenous cannabinoids play a vital role. These different endocannabinoids are present in lesser amounts in the tissues and brain and actively participate to regulate various cerebral functions such as mood, pain, perception, appetite, and memory. The dysfunction or lower level of endocannabinoids leads to migraine headaches. The deficiency of endocannabinoids can be addressed by introducing the cannabinoids in the body. CBD inhibits the uptake and enzymatic degradation of anandamide via FAAH and regulates many metabolic pathways, elevating anandamide extracellular concentrations. By maintaining the higher level of anandamide in the body would potentially reduce the feelings of the pain. Cannabinoids usually bind to the periaqueductal gray matter that modulates pain transmission. The area of the brain associated with severe headaches consists of higher levels of the endocannabinoid receptor CB1. Also, CBD helps in preventing the metabolism of anandamide that ultimately reduces the regulation of pain. Being an anti-inflammatory compound, it reduces pain in the body and diminishes other immune-system responses. CBD oil is available in various forms including, vape oils, capsules, and drops. Patients using CBD oils showed improvement in their rate of migraine attacks. Reported by the community members, CBD oil available in drops is the most popular form for personal use. CBD oil for migraines is available in multiple forms. Most effective forms are ingestion or vaping. One of the most effective and simplest ways of using it is the sublingual method. The sublingual method requires placing a few drops of CBD oil beneath your tongue, and then it diffuses through the thin membrane and moves to the place where it is needed and shows beneficial effects. Also, it causes almost no side-effects. You can even eat a CBD infused treat or tablets of CBD oil. If you are at home and you don’t have to go anywhere, and you are suffering from a severe migraine, then you can use the vaping method of CBD oil. The CBD oil vaping method can be very useful in treating migraines because the inhaling process or vaping transport the compounds directly into the bloodstream much rapidly than any other method.